This is one of those ferns perfect for coastal planting. Its native range is the Pacific coast from British Columbia to northern California. It should do particularly well of the west coast of Britain and Ireland as it prefers cooler summers and milder winters. 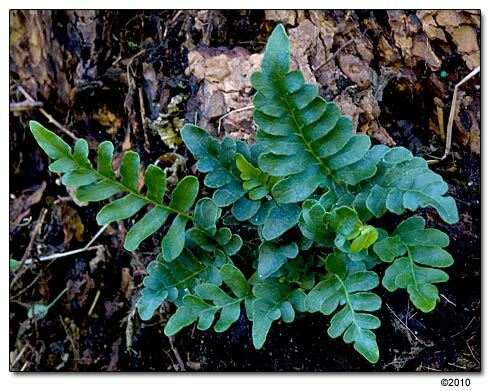 It prefers an acidic very well drained soil, fronds will eventually grow to between 15 and 50cm. This is perfect for planting into wall crevices or even hanging baskets. In sheltered areas around streams or other humid areas it can be strapped to tree branches (though you may need to mist it).